SHAKEY’S Pizza Asia Ventures Inc., the company that owns the American pizza restaurant brand in the Philippines and parts of the region, on Tuesday said it opened its first store in Dubai, expanding its footprint in the Middle East where it is leveraging on the large population of Filipinos living and working in the area. The new store represents the first for franchisee Aljeel Capital, a Dubai-based group. It is committed to open nine more in the United Arab Emirates (UAE) over a span of five years, the company said. Everything on the menu is halal-certified, the company said, as this is in line with Dubai’s Islamic culture. The company said, the key features and flavors that make for a Shakey’s trademark taste are kept intact. Marinade, breading, dough blends and spice mix for the pizzas, chicken, and spaghetti are all flown in from the Philippines. “Dubai, UAE, and the rest of the Middle East are great markets for us. Aside from the strong and welcoming Filipino communities which really love the Shakey’s brand and are excited about experiencing it away from home. Shakey’s is also a Western concept with Western menu—thus giving us tremendous growth opportunities within the mainstream markets there,” Vicente L. Gregorio, the company’s president and CEO, said in a statement. The said store is located opposite Burjuman Mall and just a few steps from Exit 4 of Burjuman Metro Station, one of the busiest stations in Dubai. 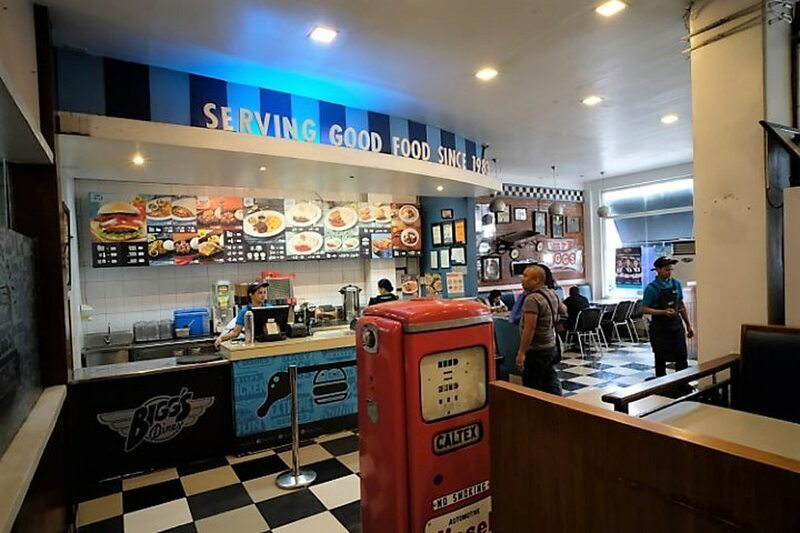 It features the familiar store environment of a Shakey’s pizza parlor in the Philippines and offers the many iconic products which many Filipinos liked. 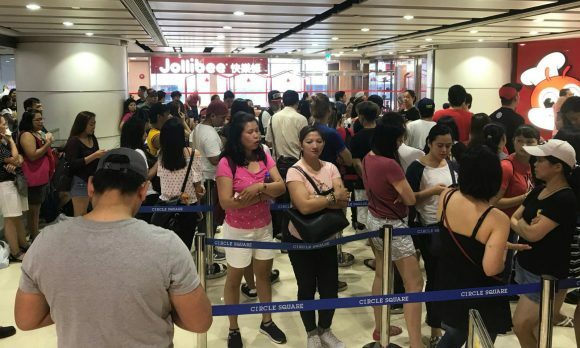 The company said the restaurant drew a huge number of patrons in Dubai, with long lines and guests patiently waiting close to an hour to enter. As of end-March 2018, the company had a total of 212 stores locally. The store in Dubai is the second international store for Shakey’s Philippines, a company led by the Po family and owns the perpetual rights to the Shakey’s brand for the Middle East, Asia, excluding Japan and Malaysia, China, Australia, and Oceania. With two area development agreements already signed up, its total international pipeline is currently at least 20 outlets over the next few years. An affordable franchising package pilot-tested by leading convenience store operator Philippine Seven Corp. (PSC)—one that requires only P300,000 in investment—has generated strong interest from Filipinos who want to run their own business. Apart from expanding its franchising deals, PSC, the local franchisor of the 7-Eleven 24/7 convenience store chain, is continuing its nationwide expansion and is likely to hit close to 3,000 stores by the end of next year from 2,386 as of end-March this year. But for some of its mature corporate-owned stores, PSC is offering a franchising arrangement wherein the franchisee could take over operations for only P300,000 in cash outlay and a commitment to directly manage the store in exchange for a fixed share of earnings, typically averaging at around 7 percent of sales. The cash outlay is effectively a deposit that could eventually be returned—like a bond of commitment. The company waives utility charges but the franchisee shoulders the cost of labor and inventory losses. PSC has so far awarded 80 of these low-capital franchising deals and expects to choose 100 more franchisees by the end of this year, Paterno said. Under this franchising package, only one site is awarded per person, except for “exceptional performers,” Paterno said. About 53 percent of PSC’s network represented franchised stores but earlier franchising packages required much higher capital. PSC lowered the entry barrier for the latest franchising package, which, however, requires the franchisee to be hands-on in running store operations. 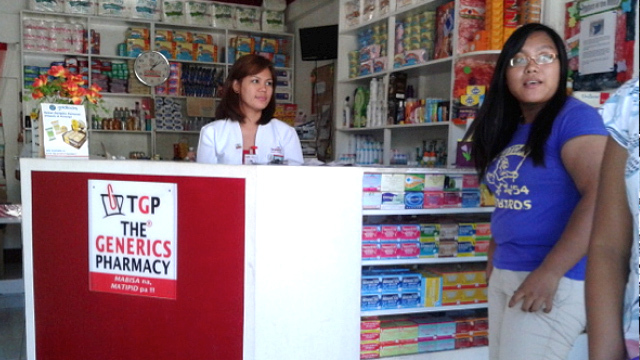 This year, PSC has budgeted P3.5 billion to support its store expansion strategy. The bulk of this amount is allocated to new store opening, store renovation and equipment acquisition. Last year, PSC began its digital journey. Its e-commerce platform CLiQQ Shop is now available in 1,700 stores in Luzon and will be rolled out to other parts of the country. CLiQQ PAY, the company’s closed-loop wallet, was also soft-launched at the end of last year. “We are not only capitalizing on revenue opportunities presented by the payment and logistics needs of digital players in an emerging market, but we are cautiously becoming a digital player ourselves, in the belief that a hitherto unproven model combining online and offline assets will result in a digital business ecosystem, with both low acquisition costs and superior unit economics, perhaps leading to entirely new businesses in the medium term,” Paterno said. IF there’s one thing Steve Benitez has known all these years, it is that his coffee business would work. True enough, his over 20-year-old coffee venture has become home to 700 direct employees, excluding farmers, social entrepreneurs and other community organizations his coffee business has helped along the way. Steve is the youngest in a brood of five. He took up management economics in Ateneo de Manila University. He grew up in a family that was already business-inclined, running Ric’s Barbecue since 1968. “I grew up in a family of entrepreneurs. In fact, I was already entrepreneurial at a young age. I befriended salesmen so I could ask for promotional toys and sell it to my classmates,” he said. Steve is one of the Cebuano personalities instrumental in bringing the coffee experience in Cebu beyond offices and homes. He helped introduce a new way of catching up with friends, conducting business meetings, and studying over a cup of coffee that is sourced locally. Although Bo’s Coffee competes against a number of coffee giants, Steve is confident in Bo’s own healthy growth story, one that offers a distinct Filipino experience. Looking ahead, Steve wants his business to be more than just profit-oriented. “I have something in my hand. Something powerful that can help change more lives,” said Steve, referring to his newfound advocacy on social entrepreneurship. He said that if Filipinos would only work together to help uplift the communities in the grassroots level, the country wouldn’t only be rejoicing in the success of a few, but an entire community. “Any business is powerful only if you know the purpose in the first place. I know mine. Money is just a fuel, not my destination,” said Steve. I pursued law after college in Ateneo de Manila University. But I took a job on the side as a corporate card consultant at American Express. There, I was exposed to the corporate culture. It was a short stint, though, because on my third year in law school, I took a leave to take over the family business, Ric’s Barbecue along Ramos St. My parents that time were retiring and they wanted to close the business, so I decided to run it. What inspired you to get into business? Drinking coffee has fueled my late-night study sessions in law school but what made me fall in love with coffee and its culture were my travels abroad. I began traveling abroad since 1993. I liked the idea of exploring and seeing new places. In fact, I used to tell my mom when I was kid that I wanted to become a pilot. That never happened, but the love of traveling led me to a different pathway. I spent longer hours sitting in coffee shops- enjoying my coffee, talking and meeting new friends. Coffee shops, in other countries, became a venue to close business deals, nurture relationships, and simply became just a meetup place. This then inspired me to bring the same concept to Cebu. All I had then was the guts to start the business. I pitched it to my family and friends and everybody said it was not going to work. In fact, two months before the opening of my first coffee shop in Ayala in 1996, my two business partners backed out. I was left alone to open and run the business. Back then, going out to drink coffee wasn’t popular in Cebu but I took the risk. I priced my brewed coffee at P15 and my cappuccino at P25. I studied the coffee industry and the business for two years. I traveled abroad to join expos. I also did a lot of market surveys and feasibility studies only to find out the Cebu market wasn’t really ready for the coffee shop concept. Cebuanos weren’t willing to pay but it was my unrelenting spirit that pushed me to still pursue the business idea. I was stubborn. Entrepreneurs are stubborn. Until I attended a coffee expo in Singapore and I saw a lot of people drinking coffee despite the hot weather. So I thought if this worked in Singapore, which has the same weather with the Philippines, the coffee concept would work. It may take a matter of time, but I knew in my heart it would work. So I bought my first coffee machine there in Singapore at P65,000. The first few months were a bit difficult. Sales were low but it took off during the sixth month and during the eighth month, I opened my second branch in SM City Cebu. Fast forward, I now have over 100 coffee shops spread across the country. We are aiming to hit a total of 200 branches in the next two years and, two months ago, we opened our first international outlet in Qatar. Besides my love for coffee, a new inspiration has sprung up. Looking at it as an industry, coffee is one of those that generates livelihood to farming communities. We attribute our growth to the brand’s strong positioning, being a homegrown brew. We source our coffee beans from the highland farmers in Sagada and Benguet in Mt. Province, Mt. Kitangland in Bukidnon, Mt. Apo in Davao, and Mt. Matutum in Tupi, South Cotabato. There’s much uplifting to be done in the coffee farming community to achieve self-sufficiency. We have also transformed the way we engage in business. In 2012, we opened Bo’s outlets to become the launching pad for social entrepreneurs to market their products. By tapping Anthill for the fabrics of our chairs and sofas, it opened Bo’s to a higher level of community involvement. We realized that the grassroots have to grow with us. Entrepreneurs need not to be afraid of failures. You have to embrace them and take each misstep as an opportunity to learn. My Bo’s franchise in 1999 in Manila was a failure because it was done in a rushed manner. We all got excited, overwhelmed to bring the business to Manila. Unfortunately, it didn’t work. But I did not allow this experience to affect my long-term vision for Bo’s. The experience allowed me to work harder and perfect the business system. I did not return to Manila (for business) until 2003 when the brand was all set to serve more customers. The country’s leading pizza parlor chain operator, Shakey’s Pizza Asia Ventures Inc., sizzled in Dubai as the opening of its flagship store in the United Arab Emirates broke records on its debut. The new store in Dubai— Shakey’s second in the Middle East after opening in Kuwait— is the first restaurant of franchisee Aljeel Capital, a Dubai-based group, which has committed to open nine more in the UAE in five years. The Dubai pizza parlor drew a huge number of patrons, with long lines and guests patiently waiting close to an hour to enter, the company announced. Strategically located opposite Burjuman Mall and just a few steps from Burjuman Metro Station, one of the busiest stations in Dubai, the store attracts good traffic and high brand visibility. “We are excited to have more stores in the UAE, with our flagship Dubai restaurant finally open and with the overwhelming turnout we had during opening night,” Aljeel chief executive officer Firas Hurieh said in a statement on Tuesday. Everything on the menu is halal-certified, in line with Dubai’s Islamic culture. However, the key features and flavors that make for a Shakey’s trademark experience are kept intact. MANILA, Philippines — Former expatriate Unilever senior global brand manager and current U-Franchise Sales and Management president Sam Christopher Lim has what it takes to lead the country’s bid to market and establish the Philippines’ franchise brands in the global market. Still young at 36, Lim is already stacked with a wealth of knowledge and experiences on how to compete in the international market. He had spent over 10 years as regional brand manager of Unilever Thailand and Unilever China, and as senior global brand manager of Unilever United Kingdom. His enviable positions gave Chris (as his family fondly call him) and his wife Gift, also a former Unilever executive with their two kids, a relatively comfortable life but when his home country beckons for service, he obliged despite the sacrifices and challenges that lie ahead. “Honestly, it was not an easy decision because I was making good money in Unilever. I was an expat there and life was comfortable. You could spend weekends in Paris if you want. But my wife was pregnant and well, we thought it was time to settle down after working 10 years overseas,” he shared in an interview. A BS Management Engineering graduate from Ateneo de Manila University, Chris now wears several hats. He is the president of U-Franchise Sales and Management, the largest franchise-matching company in the Philippines that is a joint venture with the Singapore-based Astreem Consulting Ltd. The company has an excellent track record, having worked with major brands, such as Jollibee, Max’s Group, Inc., Bench and various Philippine franchise brands to help them expand globally. Lim is also the chief marketing officer of Francorp Philippines which specializes in preparing businesses to grow through franchising. “My life now revolves on franchising. I was lucky enough that I grew up in an entrepreneurial family. Apparently, we were born to be involved in business and become entrepreneurs,” he said. Even as a child, Chris already lived and breathed entrepreneurship. His summer vacations were spent in their grandfather’s Automatic Centre office filing invoices with his brothers. During break time, they play with their family computers in the selling area so they can also demonstrate the units for customers. Lim recalled having sold cassette tapes to his friends and classmates in Xavier School. During weekend, he and his brothers sold juice to customers in their warehouse store. He cites his Jesuit education as a major reason why he opted to return to his country. “Because of his Jesuit education also from Ateneo, my father instilled in us a sense of service, of being ‘men for others’. He used to tell us that the Philippines has been good to our family and it’s important for us to give back. Some people join the army to be of service to the country, but our skills are in business, so we serve by ensuring our business contributes back to society, and this is especially true for franchising,” he explained. Chris Lim with the Philippine Franchise Association board officers (from left) vice chair Robert Trota (Max’s Group), vice chair Yvette Pardo Orbeta (Wendy’s Philippines), director Sam Christopher Lim (Francorp/BLIMS Lifestyle Group/ La-Z-Boy), Sen. Migz Zubiri, chairman Alan Escalona (Fruit Magic), chairman emeritus Samie Lim, and director Sherill Quintana (Oryspa) presenting the plaque of appreciation to Sen. Zubiri as guest speaker at the Franchise Asia Philippines 2017 International Conference. Chris’s father is Samie Lim, chairman emeritus of the Philippine Franchise Association and Philippine Retailers Association, and the universally acknowledged “Father of Philippine franchising.” The older Lim is also the chairman of BLIMS Lifestyle Group and Canadian Tourism Hospitality Institute and the former president and current director for tourism of the Philippine Chamber of Commerce and Industry, the country’s largest business organization. Aside from the values learned from the Jesuit’s men for others mission statement, he also had been exposed to mathematics-centric subjects that stress logic and things that are measurable. Lim graduated with honors in Management Engineering from the Ateneo de Manila University, studied in the National University of Singapore and pursued post-graduate studies in Oxford University, UK where his project on ‘Franchising: An Innovation Strategy Perspective’ helped him graduate with distinction honors. He was awarded the Young Market Masters Award for his role in growing brands in the Asian region, the International Master Franchise of the Year at the Franchise 2017 Franchise Excellence Awards of the PFA and is a regular columnist in Entrepreneur.com.ph. Right now, Lim is preoccupied in promoting franchising in the Philippines and in the ASEAN region. 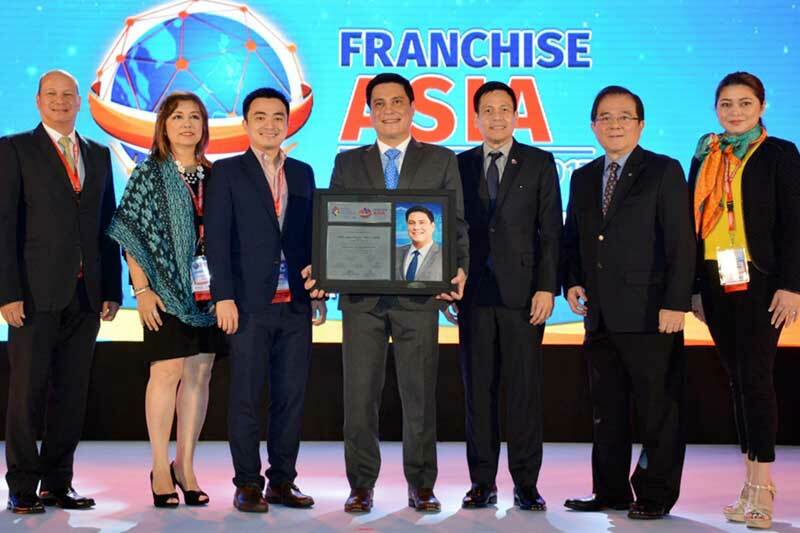 Along with other officials of the Philippine Franchise Association (PFA) – the country’s pioneer and premier franchise organization – he eagerly looks forward to the forthcoming Franchise Asia Philippines 2018 slated from July 18 to 22 at the SMX Convention Center in Manila. “We want to create a more dynamic and inclusive franchise show,” he stressed. 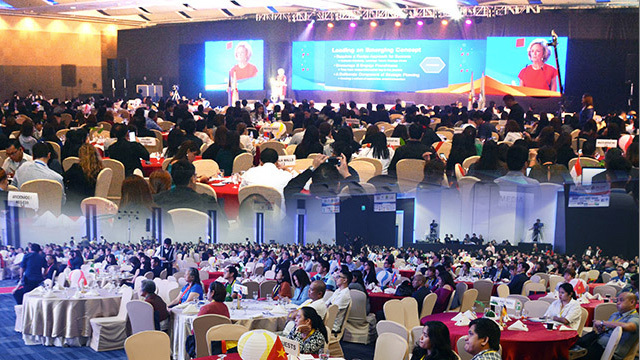 As the Overall chair of Franchise Asia Philippines 2018, Chris who’s also the current PFA chair for ASEAN, said the Franchise Conference is veering away from the traditional setup of gathering people in one big room listening to speakers for two days. Instead, there will be panel discussions and 14 different breakout sessions focused on various concerns, including digital transformation, marketing operations, human resources, finance and even halal products. The event will also have over 20 roundtable sessions to enable networking among the participants, and learn from sharing their experiences. Lim said PFA gives a 50 prcent discount to provincial delegates to encourage broader participation. “Our focus before was Metro Manila to promote inclusivity. Four years ago, five percent of the clients come from Metro Manila. Now it is 40 percent,” he said. To spice up the event, Lim said PFA is organizing a ‘great debate’ to determine whether social media influencers or celebrity endorsers are more effective in building up brands. The audience will decide and track the change in the opinion room. The conference will also have a nextgen program to enable young entrepreneurs to pitch their project to an audience of 1,000 franchise leaders. The community will determine the winner by their votes. For the Expo on July 20 to 22, Lim said PFA expects over 700 brands to join the event, and more than 52,000 attendees. The expo, he added, will conduct over 10 different seminar-sessions for owners and investors. With the capacity of the exhibition area doubled from last year, he expects the food park this year to showcase new franchise brands from around the country. For people interested to go into franchising, PFA will put incubation booths to guide aspiring entrepreneurs. PFA will likewise put up regional pavilions for micro entrepreneurs across the Philippines so they will be noticed by consumers and businesses alike, both local and international. Lim spent over a decade growing brands globally as senior global brand manager Sunsilk for Unilever UK from 2010 to 2013, where he engaged in innovation development, leading a cross functional team to develop concepts, packaging, advertising and 360 degree launch plans for Unilever’s largest hair brand. He was regional brand manager Lux China, Japan and Northeast Asia in Shanghai for Unilever China from 2008 to 2010 where he led the brand relaunch of Lux Japan and China. He was also regional brand manager Sunsilk Asia from 2006 to 2008 for Unilever Thailand where he handled the Southeast Asia and South Asia regions. Lim is bullish and optimistic about the country’s franchising industry. He said the Philippines has a lot of potential in the industry, and PFA sees a conservative annual 10 to 15 percent growth of the industry this year until 2020. “Franchising creates millions of jobs. I decided to leave selling shampoo and pursue creating jobs, developing entrepreneurs and developing the economy through franchising. I decided to continue building the foundation with the help of my dad, Tita Bing (Limjoco, the current president of the Philippine Chamber of Commerce and Industry), and the PFA team,” he said. “It is time indeed to return home and bring back the skills I learned from abroad and take franchising to the next level,” he said. NAGA CITY — Big plans and big dreams. 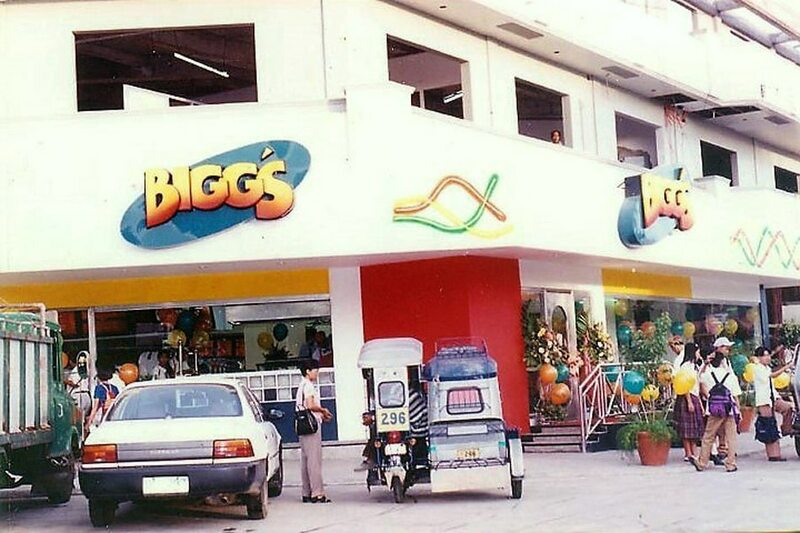 That’s what the Bicol-based Bigg’s Diner group has in store for the next two years. 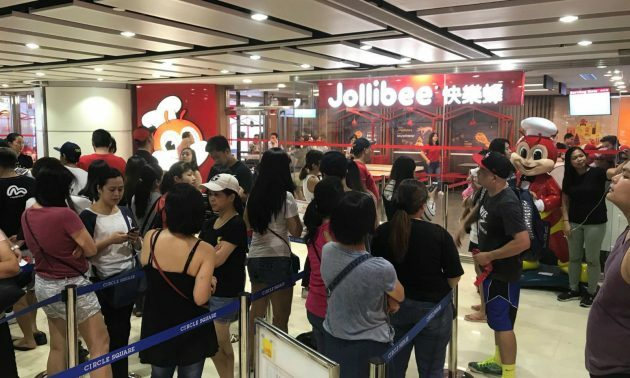 Long queues are seen from as early as 7am outside the Jollibee Macau store, with many of those in line being Filipino nationals. A large Jollibee mascot entertained diners as they waited to be served.